The most popular variety for consumer pack. The drying ratio averages 3:1 on fresh:dry. The fruit is medium sized and oblong shaped. The skin is dark red to purple and the flesh is a golden yellow. This sweet flavored fruit is also referred to as “Sugar Plum”. The tree is vigorous and upright. It is a good producer, however has a tendency to alternate bare. Self-fertile. 800 Chilling Hours required. Harvest date approximately August 15th. This is an excellent dried prune. It is a early maturing fruit which allows growers to spread out their harvest. This is very important in an industry where drying capacity is maximized during the peak French harvest window. This is a large fruit with a purple-rose colored skin and golden colored flesh. The tree is vigorous and upright. It tends to be more precocious than the industry standard, French Prune. Self-fertile. Harvest date approximately August 1st. This is an excellent dried prune with a excellent fruity flavor. 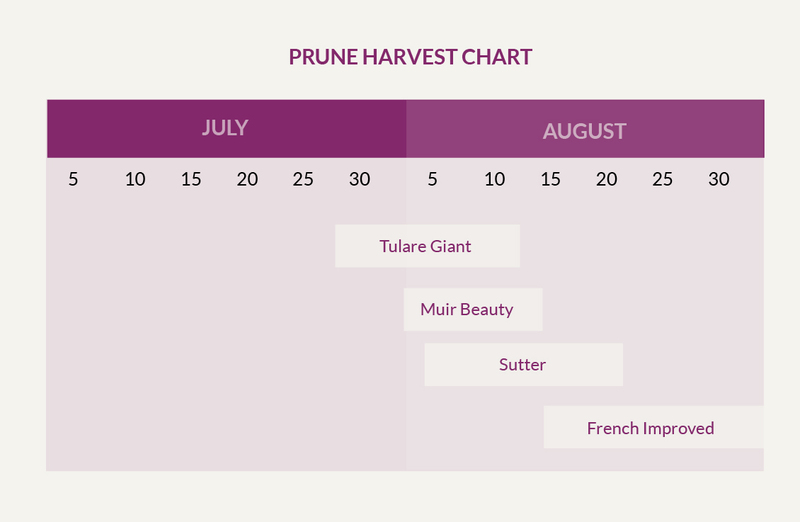 The Sutter is 15-20% larger than the French Prune when dried and has a higher sugar content. The dark purple-oval shaped fruit hangs well on the tree and can be easily mechanically harvested. The pit can be easily and cleanly removed. The tree is vigorous and precocious. Harvest date approximately August 5th. Best suited for the fresh market. 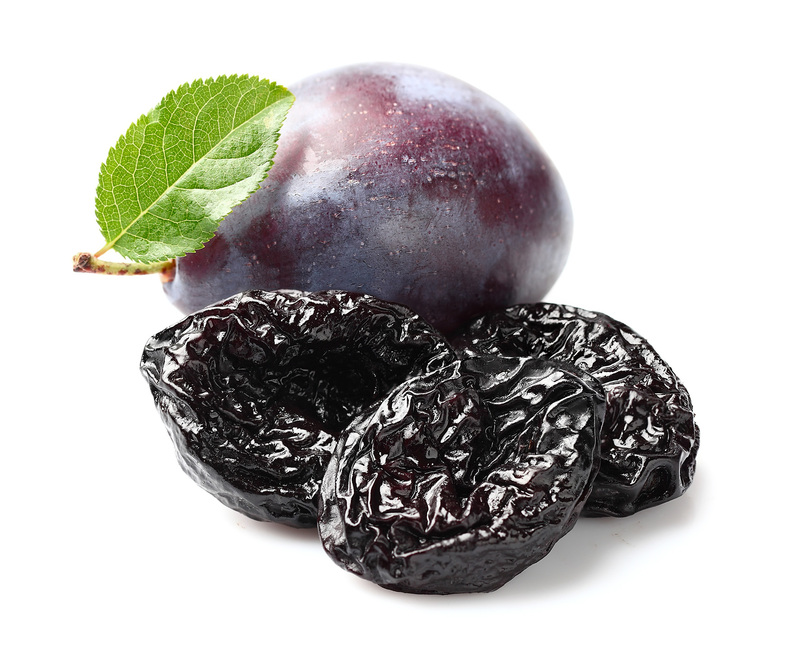 It is often twice the size of the industry standard, French prune. Skin color is very dark purple with a golden yellow flesh. This variety has a tendency to bleed and slab when dried. Muir Beauty works well as a pollinizer for Tulare Giant. Harvest date approximately July 27th.